The key to helping prepare an existing child for the addition of a new baby to the family is to be open and loving and to provide support, along with an appropriate amount of information. 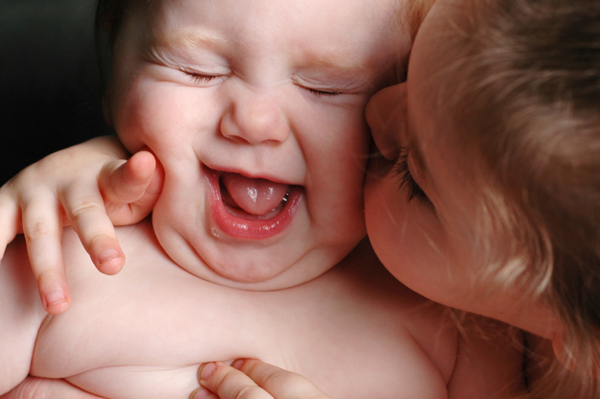 Helping a child adjust to the idea of having a new brother or sister can also be a lot of fun. Determining when to tell a child that a new baby is on the way can be difficult. For young children, if you break the news too early on, it will seem to take forever for the baby to be born and they may lose interest. However, it’s important to tell children soon enough that they have adequate time to adjust and join in the preparations. It’s also important to tell them before they learn the news inadvertently. It is very important to provide the existing child with plenty of love and support as they adjust to the idea of having a new brother or sister — they may have insecurities or fears about the upcoming change that they cannot express. Answering their questions with an age-appropriate amount of information will go a long way in helping them know what to expect. Ann Douglas, Canadian author of The Mother Of All Parenting Books, warns against sugar-coating what it’s going to be like living with a newborn, saying, “Make sure your older child has a realistic idea of what new babies are really like so she won’t be too disappointed when the new baby shows up.” One fantastic way to impart information and open up discussion about the new addition to the family is through book sharing. There are loads of wonderful books on the subject, available in libraries, used book shops or at Chapters or Amazon. Involving children in the pregnancy and preparation for baby’s arrival will prevent them feeling excluded and will allow them to get caught up in the excitement that mommy and daddy are experiencing. Depending on their age, a child might be able to participate in doctor visits to keep apprised of baby’s development, help shop for clothes and assorted “baby stuff,” assist in decorating the nursery and attend the baby shower. Some parents are comfortable allowing an older child into the delivery room; if not, or if a child is too young, be sure they know the plan for when you go into labour. Any alterations to the routine of an existing child should be dealt with before the baby comes. For example, if an older child will be moving to another bedroom, or into a toddler bed, it’s best that this change occur far enough ahead of the newborn’s arrival that the child has adequate time to settle into the new situation before dealing with the addition of their new brother or sister. Make plenty of time for your firstborn after baby’s arrival and be sure to provide plenty of love and assurance that your relationship with them hasn’t changed because they are sharing you. Allow baby’s big brother or big sister to help out and encourage him or her to continue to ask questions and express frustrations. Babies are a tough business!